Do Home Businesses Need E&O Insurance? Home > Blog > Do Home Businesses Need E&O Insurance? Professional liability insurance - often called Errors & Omissions (E&O) Coverage - is coverage that applies to professional mistakes. Many people think these policies are necessary for trained professionals, such as doctors and lawyers. 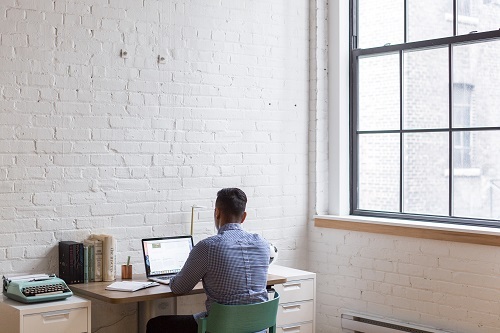 This merits the question: Does your small, home-based business need E&O protection? E&O coverage doesn't just apply to large, professional enterprises. It can apply to any operation, in any setting, in the correct circumstances. Therefore, talk to your insurance agent about your home services. Most businesses need liability insurance. A general policy might help you pay for the injuries or property damage a third party sustains by working with you or visiting your property. Yet, your clients can suffer more than just injuries or property damage. What about financial harm? Thousands of businesses offer a professional service or professional advice. For example, CPA's might provide tax services and advice. Lawyers provide counsel. Doctors provide care and advice in multiple capacities. In these cases, the provider's professional mistakes might cause a significant personal or financial loss to the client. The client might therefore sue for the damage. It is in these cases that an E&O policy might help. It can cover most legal costs and other settlements related to the allegation. Your location or place of business has virtually no bearing on your need for E&O coverage. Rather, the services you offer in that space will likely be the determining factor. Think about it this way. A CPA might work from home. Lawyers might do the same. They might even welcome clients into their homes. They can usually perform the same tasks at home as they could in an office. So, if they make a mistake at home, the results could prove as devastating as they could anywhere else. Therefore, they still need E&O coverage. At times, your home-based business might not need E&O coverage. Yet, nearly every business performs a professional service in some capacity. Therefore, you might need coverage - regardless of your industry. Let's say you run a contracting and construction business from your home. You find that your initial cost estimate and timeline in the contract were wrong. Therefore, the client might have grounds to sue because of this mistake. When dealing with a mistake like this, an E&O policy might come in handy. It might help you settle with the client for your clerical mistakes. So, if you own a home business, contact Southwest Commercial Insurance. Your agent can educate you on many E&O coverage options, and help you enroll in coverage.